UNIPORT First Year Students 2017/2018 Matriculation Ceremony Date Adjourned. According to the school management, the First Year Students Matriculation Ceremony for 2017/2018 session slated to hold on Tuesday, 13th February, 2018, owing to unforeseen circumstances, has been postponed. A new date will be communicated as soon as possible. But for now, UNIPORT duly admitted candidates should not forget to pay their Acceptance Fee and School Charges on or before Friday, 9th February, 2018. Failure to comply will lead to forfeiture of the offer of provisional admission made to such candidates. UNIPORT First Year Students 2017/2018 Matriculation Ceremony New Date. 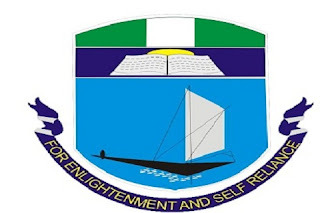 UNIPORT Pre-Degree and Certificate Programme First Batch Admission List 2018, UNIPORT Pre-Degree and Certificate Programme First Batch Admission Guide 2018. 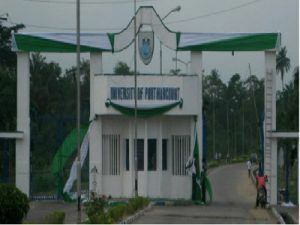 The University of Port-Harcourt (UNIPORT) management released the admission list today which has also been successfully uploaded online. If you know you participated in this excercise, kindly check your admission status from the link below. Today, i am going to show you how to get University of Port Harcourt (UNIPORT) Post-UTME screening fee deposit refund. UNIPORT screening for Post-UTME candidates 2017/2018 academic session. Below is the message released by the management of the University of Port Harcourt. Further to the Post-UTME Screening Exercise, duly registered candidates are requested to forward their Bank Account details with their JAMB Registration Number and name for transfer of the refundable deposit. Qualified candidates for admission into the Basic Studies Programme of the University of Port Harcourt for the 2017/2018 academic session should take note of these. WASSC/SSCE/NECO/NABTEB are the only result accepted. Candidates are expected to have credit passes in at least 5 relevant subjects. See Table below for further details. Online application will begin Monday, July 24, 2017; while the closing date for application is 12 midnight on Friday, October 20, 2017. Application is online, Logon to www.uniport.edu.ng and follow the instructions; a fee of Fifteen Thousand Naira (N15, 000.00), excluding Bank charges is required. Payment can be made at designated Banks nationwide. 2016/2017 University of Porthacourt, (UNIPORT) Post-HND [B.Eng] Programmes admission list is out. The general public, especially applicants should take note of these. All admission seekers of UNIPORT should note that the school will not be admitting students into the Geology programme for the 2017/2018 academic session. Candidates who chose the University of Port Harcourt to study Geology are therefore advised to contact the Joint Admissions and Matriculation Board(JAMB) for change of Course/University. Well, students who have been affected by this development should take advantage of the JAMB Change of Course/Institution for 2017/18 . University of Portharcourt School Of Basic Studies has uploaded the results of the 2016/17 session online. Candidates are advised to login to the portal and confirm result status. ii. Type your Basic Registration Number in the box provided. iii. Click on the Check Button to view results. Goodluck and congrats to those who have checked theirs. The University Of Porthacourt (UNIPORT) Faculty of Sciences First Semester Examination Time Table for 2016/2017 academic session has been published online. 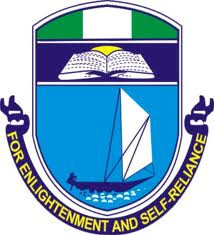 UNIPORT Timetable has been made avaliable on the school website which is also in PDF format for easy downloading. The Examinations is to kick-start on Tuesday, 2 nd May, 2017 . 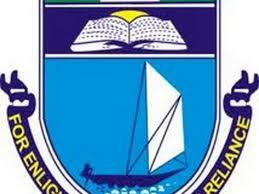 Johntech service is wishing All UNIPORT Students Success. The UNIPORT Faculty of Engineering now has the nod of COREN to run its courses for the next five years. This is the first hurdle scaled in securing full accreditation to both Undergraduate and Post-Graduate programmes which had interim accreditation during the last accreditation exercise. Wopa Kamila Maliki, the Registrar of COREN, Engineer in his speech said that the approval which took effect from February 2, 2017 would last until February 2022. I write to convey the approval of the Council for the Regulation of Engineering in Nigeria (COREN), on the accreditation visitation to the Undergraduate and Postgraduate Diploma Engineering programmes of your institution from 29th January to 2nd February, 2017. “The effective date of the accreditation is 2nd February, 2017. It is necessary to point out that Full Accreditation is valid for (5) five years,” part of the letter read, pointing out that the Council would embark on random visits to the University within the validity period of the accreditation to assess the level of compliance to set standards. Congrats to the management of UNIPORT especially the Faculty of Engineering.